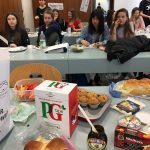 On the Friday before breaking up for the Easter holidays, our English group had an English breakfast instead of working on grammar and vocabulary. Our English teacher Mrs Stadler suggested it under the condition that we only speak English and we mostly obliged. 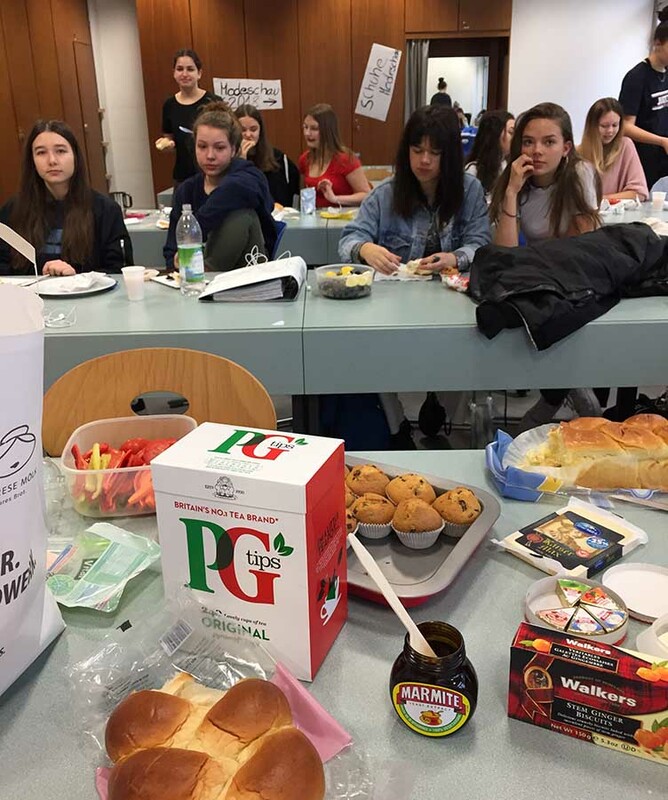 Everybody contributed something and brought different kinds of bread, rolls and French sticks, olives, cheese, ham, eggs, vegetables, home-made muffins, caramel popcorn, avocados, butter, tea, cookies, Nutella, bananas to name just some. Our teacher even brought a yeast spread called Marmite, whose taste nobody liked.